About 17.2 million new vehicles are sold each year, and about 16.5% of that number are trucks. If you are a proud new truck owner, then you are going to look for ways to keep your truck looking as pristine as possible. This includes your new truck bed. Whether you use your truck for work or personal use, you are going to throw cargo in the truck bed. A liner will prevent it from getting dented and scratched. So what are you going to do to keep your truck bed looking like new? Here are a few options to consider. For removable protection, opt for a bed mat made out of rubber, plastic, or even carpet. They are affordable and last a long time. If you need to clean your bed, the mat can be taken out, washed, dried, and put back in. Rubber options today are made from recycled rubber taken from old tires. Kind of poetic if you think about it. To take them in and out, you roll and unroll it in the truck bed. Rug mats are made from polyester fiber and polypropylene. Most rugs line just the bottom of the truck bed. But if you are willing to pay a bit more, you can find a rug that covers up the sides of the bed too. The biggest advantage of the rug mats is that there is no risk of the mat scratching your truck bed. There is also no drilling or bolting required for installation. Plus your knees will thank you if you crawl around in your truck bed a lot. Keep in mind that because they are not permanent, the mat might slide around or even fly out of your truck. You can be held liable for the items that leave your truck bed while driving, so this is something to keep in mind. If you want a mat that is more like a rug, you will spend somewhere in the range of $500. While you can have a decent quality rubber mat for around $100. For a durable and custom look, you should consider a spray-in liner as one of the first accessories you buy. With proper preparation and application, a spray in liner will last the life of your truck. While they are called spray on liners, they call also be applied with a roller. It’s essentially a protective layer of a rubberized paint that coats the inside of your truck bed. Some things to consider though, the paint will have to be scuffed. If you have a paint warranty, it will now be void. Once installed the spray liner will have a rougher texture. This abrasiveness can damage your cargo and may not always keep the cargo in place. This liner will not protect your truck from dents either. You may also find that the painted liner starts to fade and peel from sun exposure. You can prevent this by investing in a high-quality painting service that uses paint with UV guards. Another thing to consider is that applying a spray in liner yourself will be messy. You also risk a sloppy application if your truck bed isn’t cleaned well enough. For the best results, hire a professional service. You can learn more here about the different color and application options for your truck bed. You can find spray in liner services starting as low as $400 and as high as $800. Typically they fall somewhere in the middle around $500 to $600. Because this liner requires skill and technique to apply, we suggest choosing your service based on work quality and not price. If you want full protection of a bed liner, but want something more affordable, then a drop in liner may be an option. They are usually a plastic molded liner that drops into your truck bed. Most modern trucks come new with this type of liner. If your truck has the standard black plastic look, that is a drop in liner. Without it, your truck bed would be painted metal. A drop in liner is easy to install, but get the fit wrong, and your liner will rub the paint off your truck bed which encourages rust. That plastic can also be slippery which will cause your cargo to slide around in your truck bed. While there are both permanent and semi-permanent options, you will find it difficult to impossible to use any compartments in your bed. They are also one of the most expensive options on the list. You can typically find a drop in liner for $150 to $250, depending on your truck model. Don’t try to save money by going with the cheapest option; you want one well made, so it fits correctly. A newcomer to the truck bed liner world is the five-piece kit. It attempts to solve the problems of the other types of liners by using multiple pieces and materials to create one liner unit. 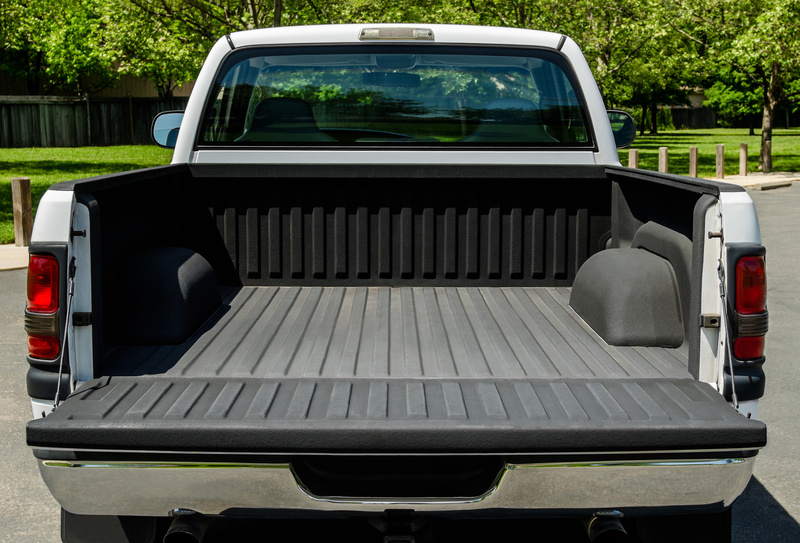 A rubber mat will line the bottom of your truck bed. Then plastic molded pieces line the sides of the truck bed. All of the pieces clip together to prevent movement. They are also UV treated to prevent your liner from fading in the sun. This is a new style of bed liner, so you’re limited in your purchase options. You also will have to buy it online and have it shipped to you. This means you have no option but to install it yourself. Expect to pay about $500 for a liner like this. Make sure you value quality over simply finding the cheapest option! Choose the method that works with your lifestyle, needs, and budget. You will need to decide if you want to protect the entire interior of your new truck bed or just the flat surface. Then weigh the pros and cons of having permanent or removable protection. Do you need to restore your old truck instead of protecting your new one? 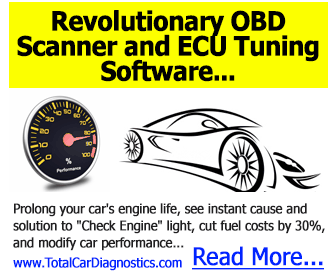 Then you need this article that walks you through a Ford truck restoration.